Drawing on the very latest scientific research, Strength and Conditioning for Team Sports is designed to help students, coaches, researchers and sports medicine professionals devise more effective high-performance training programs for team sports. 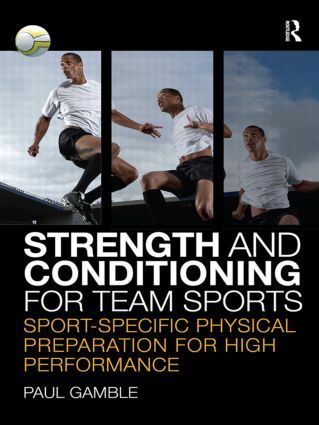 The only evidence-based study of sport-specific practice for team sports, this book introduces the core science underpinning any strength and conditioning regime, combining the best of applied physiology, biomechanics, sports medicine and coaching science. Each chapter features guidelines for evidence-based training prescription as well as recommendations for novel ways in which to approach physical preparation for team sports players, bridging the traditional gap between sport science research and sport performance. Fully illustrated throughout, this book is essential reading for any serious student of strength and conditioning, and for any coach looking to extend their professional practice.